It was something like a Korean Operation Anthropoid. In 1923, the demoralized resistance pulled off a spectacular bombing of Japanese police headquarters. It turns out, it was an inside job. Hwang Ok, a Korean officer on the despised Japanese constabulary turned yet again. 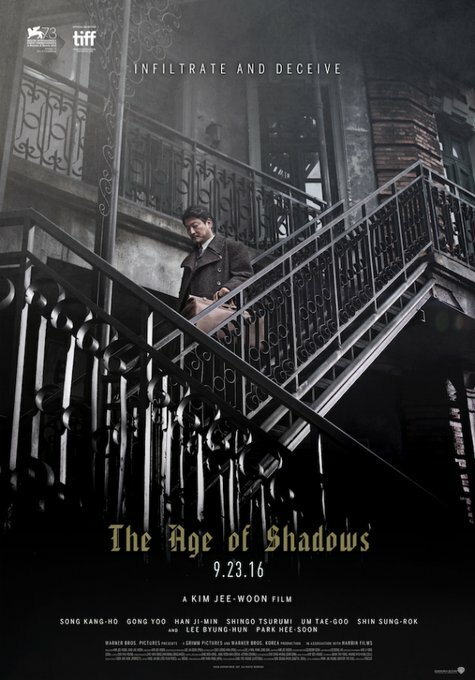 Frankly, even his thinly fictionalized analog is precisely sure where his loyalties lay in Kim Jee-woon’s The Age of Shadows (trailer here), Korea’s official foreign language Oscar submission, which is now playing in New York. As a Korean on the Japanese force, it is Lee Jung-chool’s job to be a rat. His former friend, the high-ranking resistance agent Kim Jan-ok makes that explicitly clear when he opts for death rather than capture. The incident so rattles Lee, it leaves him receptive to the overtures of Kim Woo-jin, a rising star in the Righteous Brotherhood—or so Kim thinks. Despite having Hashimoto, a ruthless counter-insurgency copper, constantly looking over his shoulder, Lee manages to play both sides and keep his options open throughout the first two acts. However, the longer he goes without busting his new pal Kim Woo-jin, the closer he comes to switching sides, like Captain Renault in Casablanca. This becomes uncomfortably clear to Lee when all parties end up on a Hitchcockian train bound from Shanghai to Seoul, with a huge shipment of explosives stashed in the cargo car. 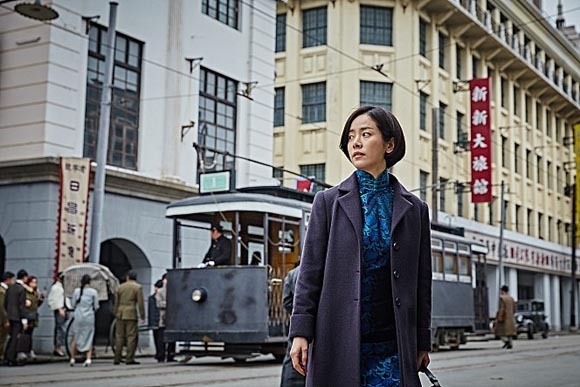 Although Age does not exhibit the exquisite lunacy of I Saw the Devil or The Good, the Bad, the Weird, Kim Jee-woon still clearly delights in tweaking and amping up the conventions of the historical espionage thriller. His convoluted plot makes a John le Carré novel look simplistic and he certainly hasn’t gotten shy about staging a shootout. It is not quite the all-out action Nirvana of Choi Dong-hoon’s Assassination, but it still delivers plenty of bang for your buck. The titular echoes of Jean-Pierre Melville’s Army of Shadows are probably not accidental either. There are so many double and triple crosses, Lee essentially loses track of whose side he is on. Korean superstar Song Kang-ho (looking pretty trim) is terrific as the conflicted Lee. He really humanizes the dilemma between pragmatic but dishonorable survival and the patriotic idealism that would most likely get him martyred. Gong Yoo (recognizable from the monster hit Train to Busan) also gives flesh-and-blood dimension to the earnest Kim Woo-jin. Han Ji-min further boosts the glamour and the tragedy as Yun Gye-soon, the secretary to charismatic resistance leader Jung Chae-san (Lee Byung-hun in a memorable cameo) and Kim’s secret love interest. If viewers are okay with the deaths of dozens of characters we come to know and root for, then Age of Shadows is tons of fun. Most likely it will be way too much fun for that stick-in-the-mud Oscar, but there is no reason we can’t enjoy it. Enthusiastically recommended for fans of period action and espionage films, The Age of Shadows is now playing in New York, at the AMC Empire.